Yesterday I decided I would participate in a webinar on Pinterest. I have to admit, before yesterday I didn’t get it, didn’t want to and had enough on my plate, actually several spinning plates, that I didn’t need to add one more social media platform to my already crowded set of dinnerware. Really… who wants to see a mish mash of photos of someone else’s favourite products? I went for a walk just before it started and didn’t rush because I was still averse to the idea of being part of the herd. What a bunch of lemmings, I thought. But, I couldn’t ignore that it had quickly entered the top three most used social media platforms and as a professional communicator, I could no longer resist. So, I signed up for Melanie Duncan’s ‘How to use Pinterest for your Business to get Traffic and Customers,” hosted by Carl White of Social Marketing Animals. I was late, but fortunately there were still spaces (it was being capped off at 1,000 participants). Melanie’s infectious enthusiasm drew me in immediately. I plugged in my headphones (which is what I do when I really want to pay attention and capture absolutely everything being said), pulled out my webinar notebook and with pen poised, prepared to be wowed. Melanie didn’t disappoint. Even before the end of the session I had linked to the sales page and jumped on the bandwagon. I’m not usually an impulse buyer but she convinced me that there was a very practical business use to Pinterest for both my clients and me. There are so many I couldn’t write fast enough, which is why I had to become a member of the Social Marketing Animals group (I'll let you know how it goes). · Businesses can use Pinterest for consumer research. Duh! 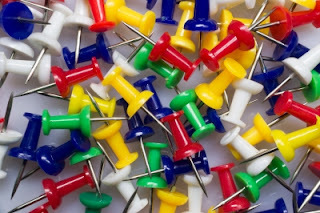 A simple search will show you what other people have re-pinned from your boards, what products of yours have been pinned by others and which ones are most popular. · Pinterest is highly search engine friendly. So, in the 200 words in the about section, which appears at the very top of your page (just like Twitter), you should use keywords as you would in any of your online marketing SEO. And, you can use either your name or your company name. · Make sure you write captions for all photos using key words again. · Create an infographic. Apparently they’re the most viral and collected forms of shared content on Pinterest. As Melanie put so succinctly, “Clarity always wins in marketing. If they can’t figure out what you’re all about in 10 seconds, they’ll leave.” A picture paints a thousand words, right? So, why didn’t I see this before? Oh well, better late than never. However, according to Melanie, “Businesses are just starting to do it and there are very few doing it right.” So, I guess I’m still slightly ahead of the curve. One more thing… you have to be invited to participate. Are you using Pinterest? How’s it going for you? Here's a little taste of the Power of Pinning. I joined Pinterest awhile back, but could not work out what I was meant to do, and lacked the patience to find out. Thought it was another five minute wonder! Thanks Carole! I got my invite and I've started exploring but I haven't gotten a real handle on it yet but I'll keep you posted.